Benefit Cosmetics are reaching new heights when it comes to creating products that stand out from the beauty crowd and genuinely work. On Tuesday evening, I was invited to attend a secret event hosted by my main man, Mark and the Benefit team. Not quite sure what to expect, I was excited when the lovely Lauren led the way to reveal the Benefit Bus. Think of the Coca Cola truck beautified, painted pink, turned into a 1950’s vintage salon and stocked with lots of gorgeous make up products! 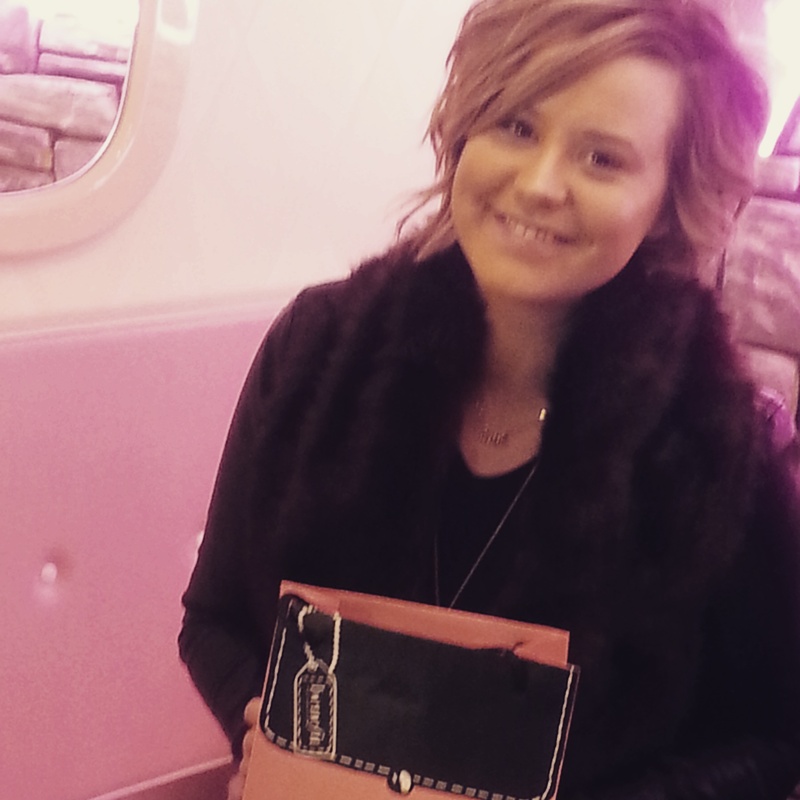 As soon as I entered the salon I was greeted by the lovely Jordan from Benefit London and the team. As I took my seat, my MUA for the evening was the lovely, Giannina. I sipped sweetly on some bubbles and snacked on delicious cupcakes. 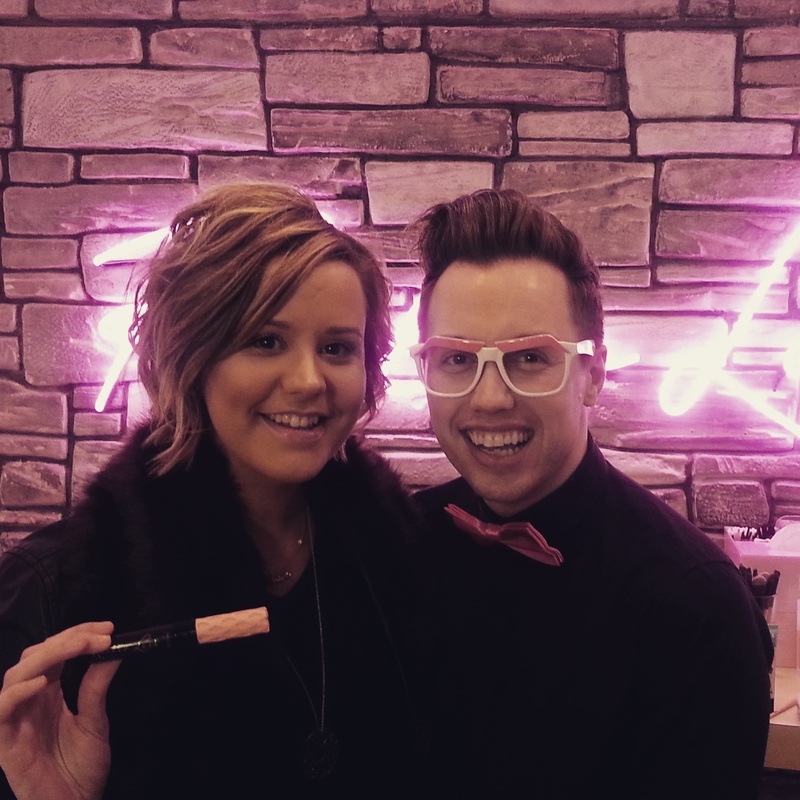 It was then that Mark revealed the big launch for 2015, Roller Lash! 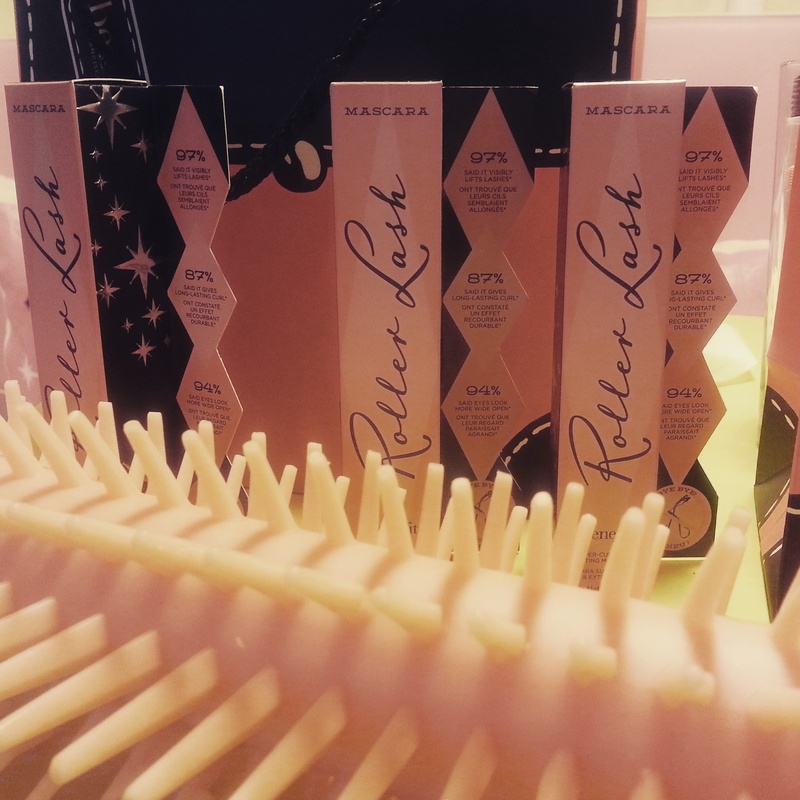 A super – curling and lifting mascara. OK, so before talking about the mascara, I want to walk you through the decor. 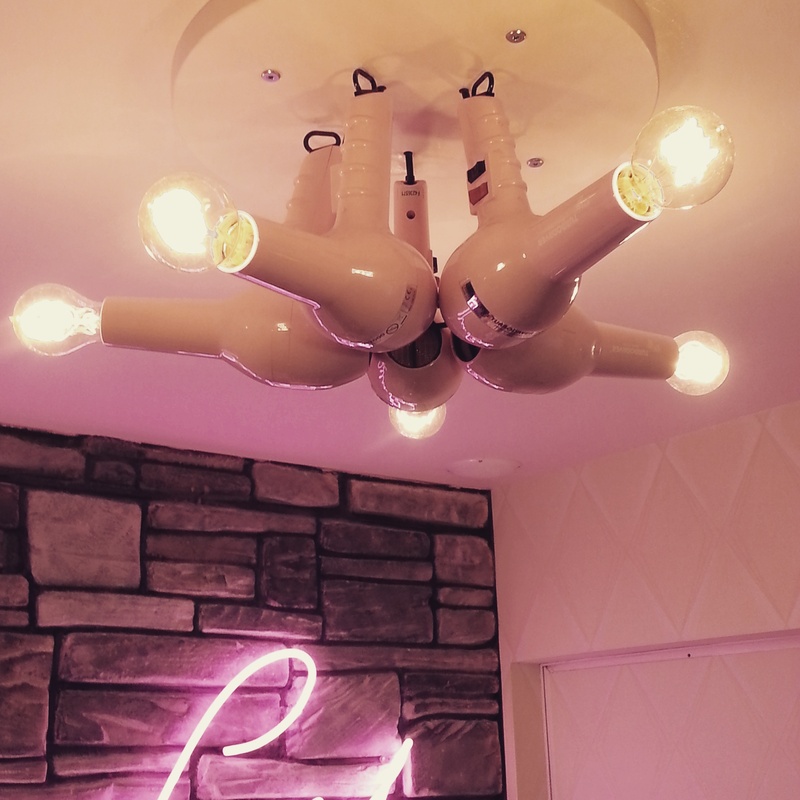 Like I’ve previously said, it’s a 1950’s inspired salon. 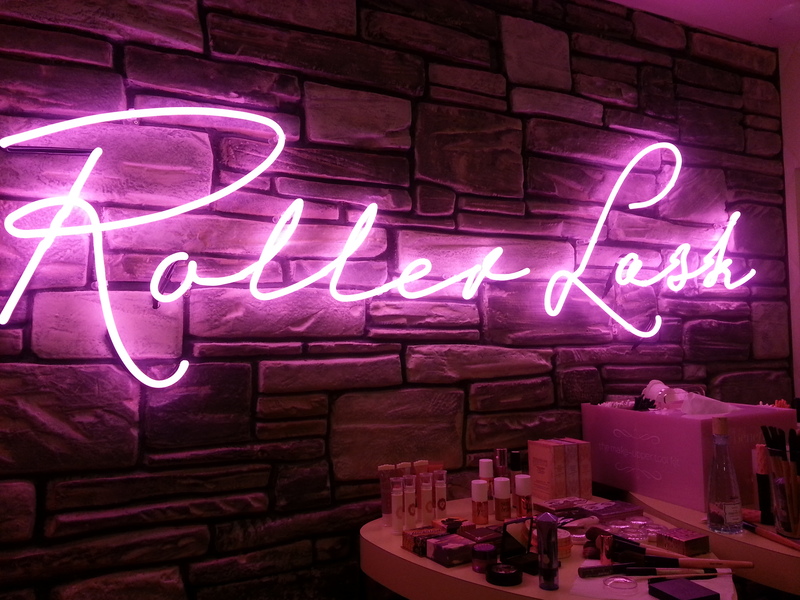 Pink everywhere with adorable Benefit branded cushions, bar style tables, vintage beauty parlor hairdryers, neon lights and hairdryer holders as lights. 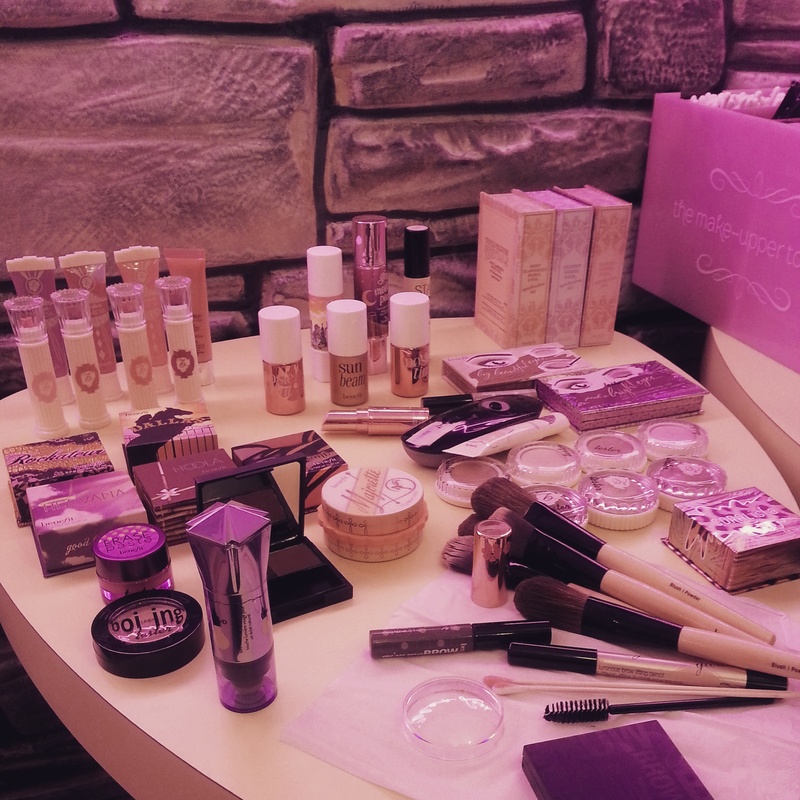 There was an array of make up throughout the salon, every product available from Benefit was on that bus. I was in heaven! P.s.. Ignore the happy yet blurry photo of me. I thank my friend, Willow for that! 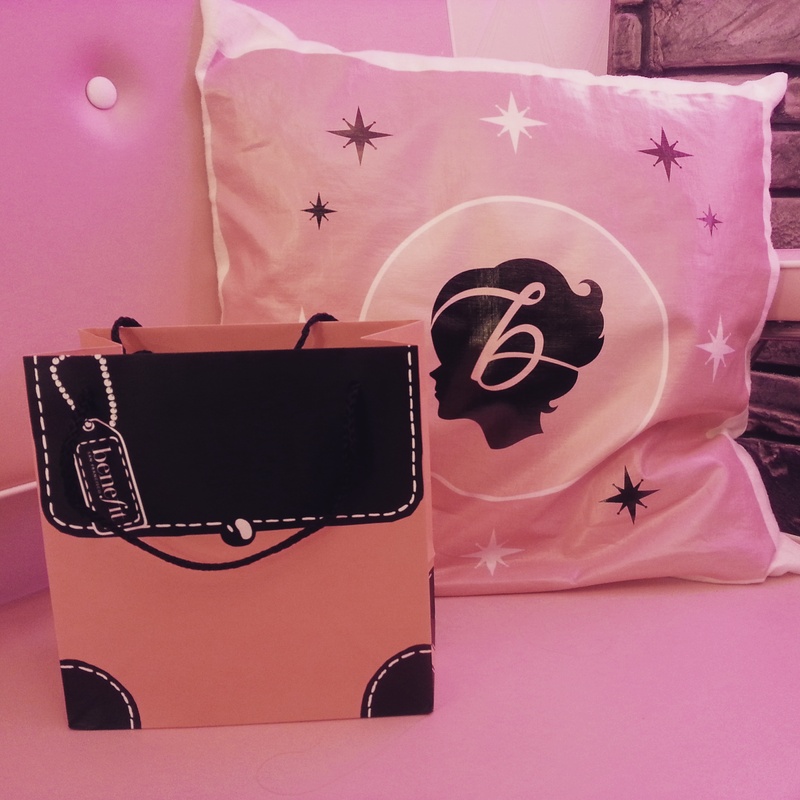 Of course, with every amazing Benefit event comes the gorgeous goodie bag. 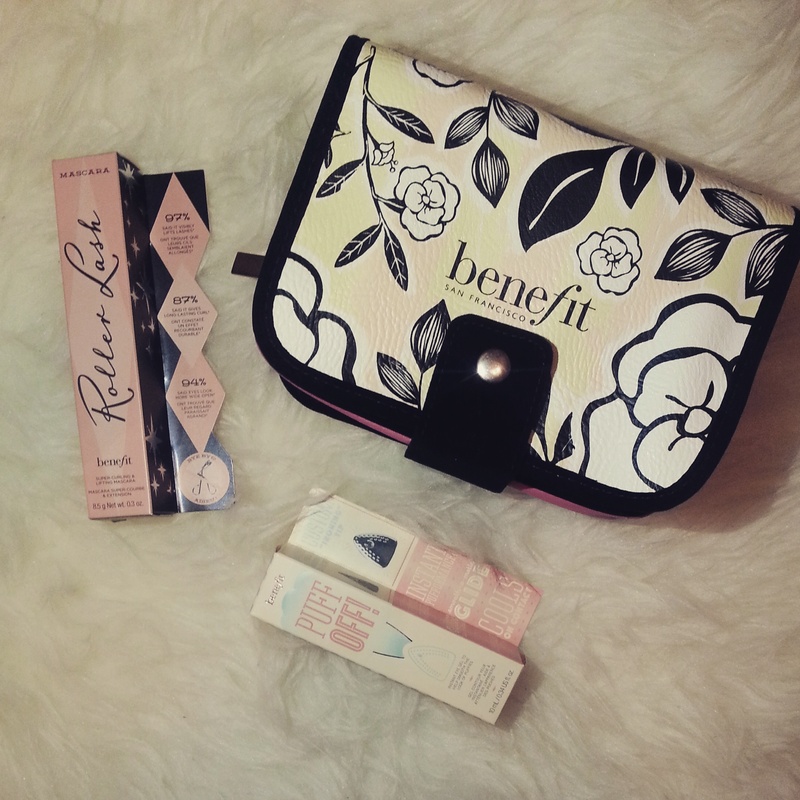 We were all gifted with a pretty make up bag, the fabulous new Roller Lash mascara and Puff Off! (love the name!). OK, so I’ll start with the mascara. I have been wearing it for a few days now and I am loving the results. It is quite lightweight and it does exactly what it says on the tin. My eyelashes curled nicely without the use of an annoying eyelash curler! 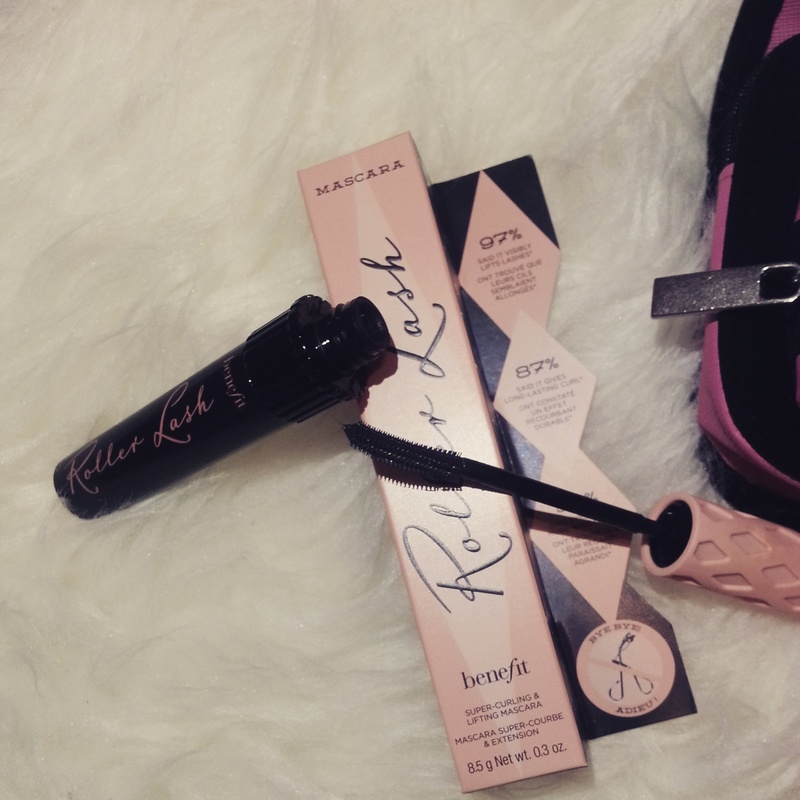 Let me go through some Roller Lash facts, eh? • 97% said it visibly lifts lashes. • 87% said it gives long – lasting curls. • 94% said eyes look more wide open. Sound interesting? Well it is. I am a HUGE fan of mascara. It is an essential part of my daily make up routine. I would quite happily go foundation free any day, but I always need a touch of mascara. 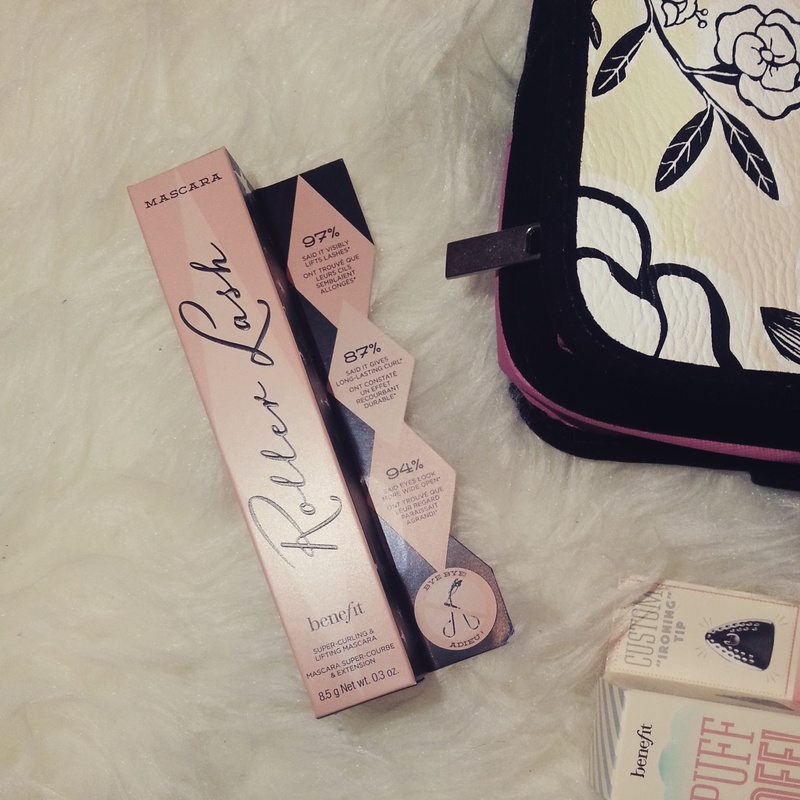 I have always worn Benefit’s, They’re Real, it is quite a heavy product to wear but I love it. 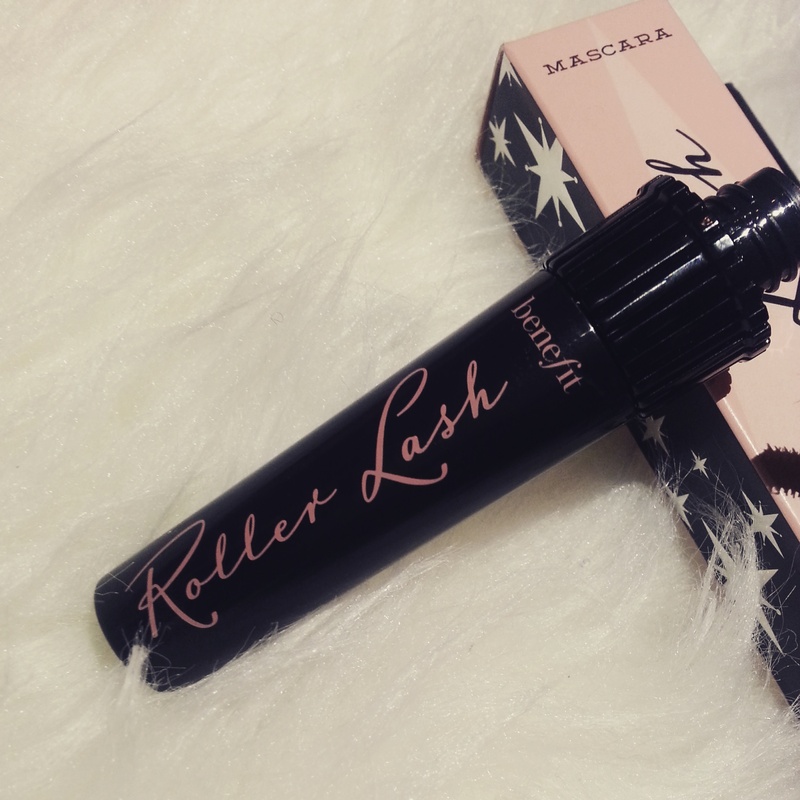 Having made the switch to Roller Lash, I am loving the lightweight feeling, cute curl and easy to take off formula. Along with the mascara and bag, was this hilarious eye serum, Puff Off! I’ve yet to use it, so I’m going to share their product information. With an iron style head, it is designed to reduce out your undereye puffiness and creases look ‘satiny smooth’. The custom ironing tip instantly helps smooth the look of tiredness. Have I tickled your lashes? If so, this mascara wonder is set for nationwide release in March 2015. I would seriously suggest getting your hands on this, you’ll not regret it!